2018 Chevrolet Tahoe 4wd LT Tahoe Rare Color Hurry! 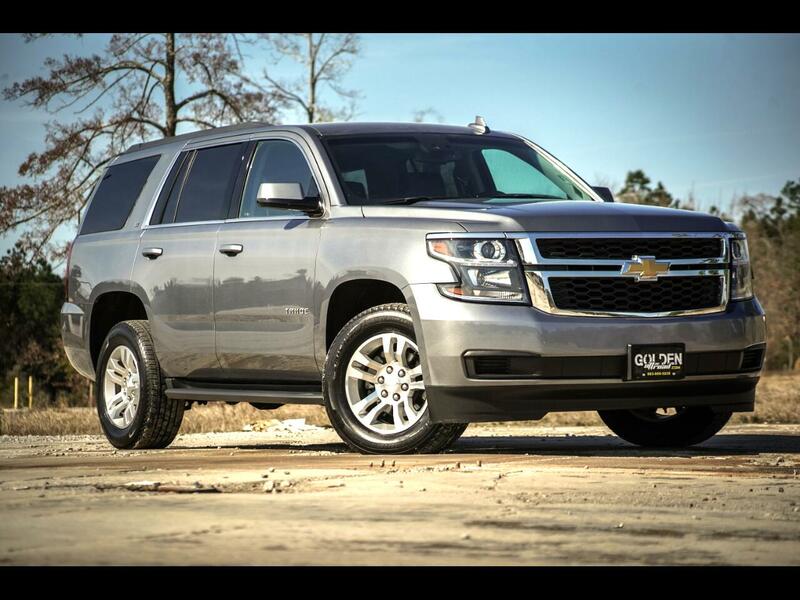 2018 Chevrolet Tahoe LT 4WD, V8, EcoTec3, 5.3 Liter, Auto. Inside you will find Black leather seats, heated seats, power seats, memory set driver seat, O.E. touch screen interface, CD player, AM/FM SAT radio, BOSE speakers, Dual zone climate control, steering wheel controls, cruise control, Bluetooth, rear AC/Heat controls, power lift gate, backup camera, 3rd row, power windows, power door locks, power mirrors, tow package and MORE! If you are interested in this Tahoe or any of our available inventory, please give us a call 803-808-5235 OR STOP by and take a test drive TODAY! !